You've worked hard to land that big client that would change your agency's fortunes. You've got an elaborate project plan, enthusiastic stakeholders, and tons of resources ready to go. You can't wait to dip your hands into the project and deliver stellar results. When it comes to deliverables, however, nothing goes as planned. Your developers keep waiting for the green light from your designers. The designers, in turn, can't get a hold of senior stakeholders to okay the design. You seem to have all the parts, but you can't get them to work well together. This is the fate of many delayed and derailed projects. Dig deeper and you'll find that the culprit is always the same: poor collaboration. Collaboration is the lifeblood of modern organizations. In the absence of silos, being able to work well across and within teams is crucial for success. In fact, collaborative businesses are twice as likely to outgrow their competitors. Another Google-sponsored study by Deloitte/Ipsos showed similar results. Employees who used collaborative tools were happier and more productive in most countries. So what exactly is effective team collaboration? What team collaboration strategies can you use to make your team work better together? 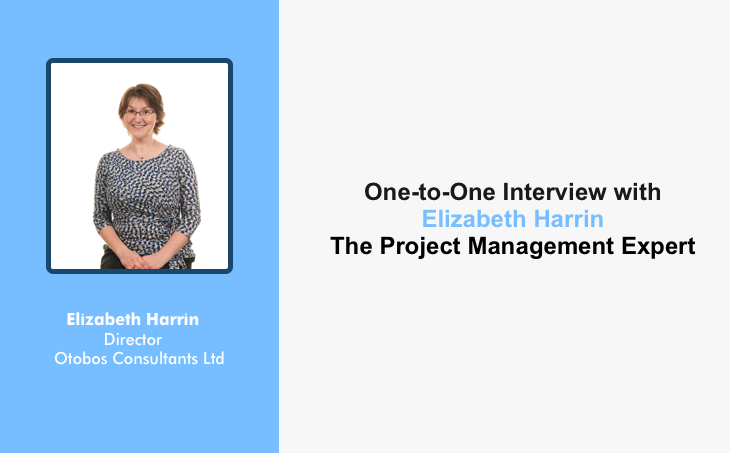 Can project collaboration software help? I'll answer these questions and more below. Collaboration can be defined as "employees communicating and working well together". There is no mystery to it; if your team members can complement each others' skills and knowledge, they're "collaborating". There is no fixed recipe for collaboration. You'll find that every organization has its own approach to helping employees collaborate. Some depend on advanced project collaboration software. Others rely on old-school tools robust collaboration habits. On that note, I'll discuss 5 team collaboration strategies that can transform your business. "...designed to assist members of a team to communicate all updates that help them reach their project goals within the deadline." Think of it as a "digital room" where all members of your team can work and communicate together. Your design team can put together a design, making edits in real-time. They can also get feedback from the development team immediately. Since everyone is in the same "room", they can keep track of each other's work. This results in better communication and transparency. There are no endless email chains asking for updates. Team members can log into the project collaboration tool and check every task's progress. If there are issues, they can tag each other inside the tool to get updates. "Kanban has a positive effect at the beginning to get the team working together to identify and coordinate the work"
"...significant positive impact on product quality and a reduction in cycle time and product development cost." 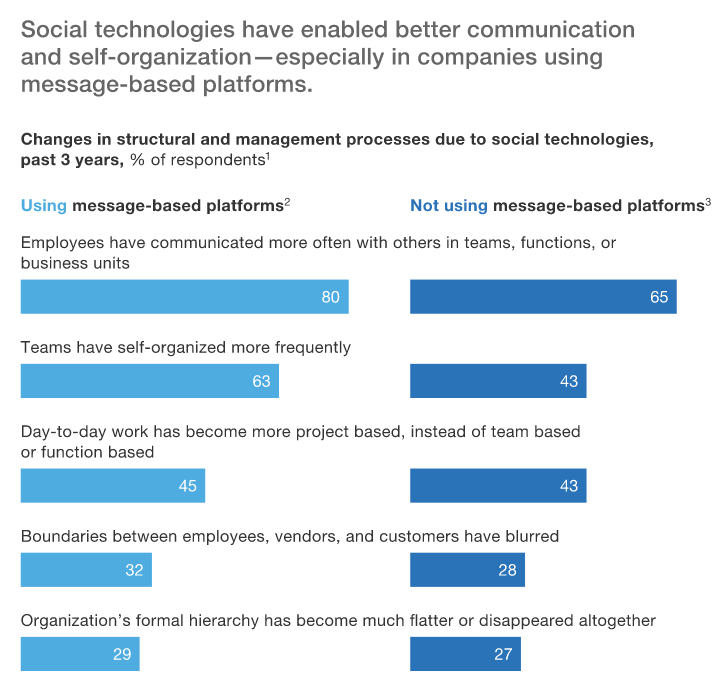 McKinsey's research also found that using message-based collaboration software improves communication across the entire organization. As far as team collaboration strategies go, this one is the simplest and the easiest to implement. 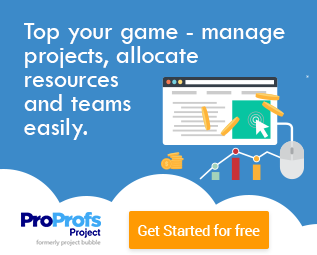 Using project collaboration software should be a top priority for your business. 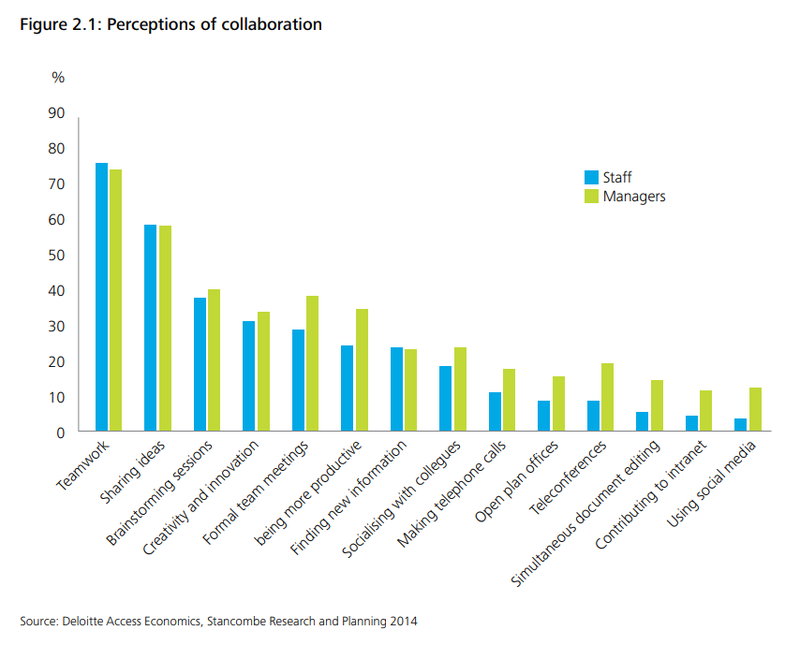 As Deloitte noted in this whitepaper, one of the biggest obstacles to effective collaboration is how managers and staff perceive it. Managers, for example, see collaboration as "more formal team meetings. Staff sees it as more "socializing with colleagues" and “teleconferences". This divide in perception affects how both managers and team members approach collaboration. Getting them on the same page, therefore, should be a top priority. Create a "collaboration charter". This document should define your official stance on collaboration, best practices, and organizational culture. Adopt collaborative project management methodologies, such as Agile. These methodologies emphasize clear roles and standardized management practices. This can help your teams collaborate better. Use collaboration software to make sure staff and managers are kept in the loop. Encourage staff to give managers feedback on collaborative practices. Build consensus on collaboration best practices by involving both staff and managers. Adopt a practice only when everyone fully understands its purpose and impact. Not every project needs the same level or type of collaboration. A process-focused project demands clear task distribution and on-time delivery. An innovation-focused project requires better communication to ease brainstorming. As the Harvard Business Review notes, collaboration is “suitable for some tasks and unsuitable for others”. Thus, instead of using the same collaborative practices in every project, pick the ones that match your requirements. One way to do that is to analyze your project status report. Make a list of upcoming milestones you'll include in each report. Then work backward and list the collaborative practices that will help you achieve it. For example, a status report lists "creating UI/UX framework" as an upcoming milestone. Since this requires significant brainstorming, you would shift your collaborative practices to focus on communication. You might task managers to facilitate communication. Or you might adopt collaboration software that makes brainstorming easier. This way, your collaborative practices would always be in-sync with upcoming milestones. You can change practices as the project requirements change. Collaboration, as most things in business, follows a top-down trajectory. What happens at the top of the corporate run trickles down to those at the bottom. If employees see top executives as not prioritizing collaboration, they'll be less likely to invest in it as well. "The perceived behavior of senior executives plays a significant role in determining how cooperative teams are prepared to be". If you want to build a more collaborative workplace, you have to get executive buy-in. Your employees must see, hear, and feel those at the top prioritize collaboration. It should be reflected in the business' vision, best practices, and even promotions. If employees see their collaboration-focused colleagues get rewarded, they'll be more likely to follow suit. For example, note how pharma giant Merck lists collaboration as one of its key values. Novartis, another leading pharma company, also lists collaboration as its primary value. This tells employees in no uncertain terms: collaboration is important. The end result of such disagreements is delayed projects and dissatisfied employees. A simple way to solve this problem is to collaborate on goal setting and role assignment. Instead of dictating what needs to be accomplished, when, and by whom, get your team members involved. Ask them what goals they can accomplish and in what time. Then ask them what role they'd want to take in the project. One study even found that collaborative goal setting helps team members "feel more involved" and satisfied. It can also improve performance since team members often know their own limits and capabilities. Further, asking team members what role they'd want to work in can improve career satisfaction. For example, a developer who wants to learn a new programming language can take on a project that uses it. Such collaboration extends far beyond communication and task management. It changes the way your organization does work. The results can be profound and lasting. Collaboration is one of the driving philosophies of organizations in the 21st century. Most managers agree that teams working closely together can accomplish much more than individuals. Adopting project collaboration software, building consensus on best practices, and involving your team in all aspects of the project are some ways to improve team collaboration.